Don’t delay critical auto glass repairs or replacement because you can’t get to one of our shops. We have several locations throughout Canada that offer mobile auto glass repair and replacement services. We perform mobile auto glass repairs and replacements just as we would in our shops, so the results are exactly the same. We just bring all the equipment and supplies to your home or workplace, so you don’t have to take time out of your day to get your windshield fixed. On the day of the appointment, our repair technician(s) will arrive at your specified location with all the necessary tools and equipment needed, such as crack spreaders, resins and a curing light. If your windshield needs to be replaced, we’ll bring a brand new, original-equipment windshield, as well as the tools needed to remove the old glass and adhesive, and a curing light to secure the new glass. Your windshield will be repaired in as little as 30 minutes, and replacements take about an hour. You won’t need to be present the whole time, but our technician may need to access your vehicle’s interior. If so, we’ll need your keys. We will return them to you as soon as the repair or replacement is finished. How do I make an appointment for mobile auto glass repair? 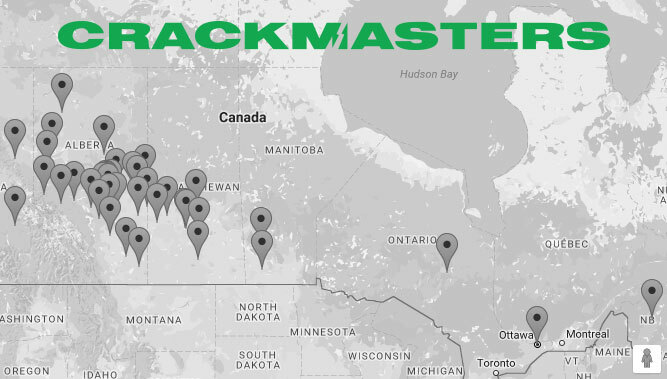 Find the Crackmasters location nearest you. You can call the location to make your arrangements, or click the link to go to the location page where you can request an appointment online. Can you fix auto glass other than windshields? Yes! We can perform repairs and replacements on rear windows, quarter glass, side windows, and even power windows. We can also replace side view and rear view mirrors, and restore your headlight covers to optimum clarity.